The Shandean invites submission of articles and notes up to 9,000 words (special cases for longer submissions may be discussed with the editor). Unsolicited reviews are not accepted. All submissions are anonymized and sent to two external reviewers, whose comments will be returned to the author; this will often lead to a revised text. The editorial board will then decide to reject or print. The Shandean is published annually in November; a submission must be received by 15 March for publication the same year, but material is accepted year round. Manuscripts should be sent to peterdevoogd@fastmail.fm as an email attachment in Microsoft Word format. The file should not contain any information that identifies the author(s). Author name(s) and affiliations should be provided in the email. Articles should be accompanied by an abstract, written for publication, of around 200 words. This should be included in the attachment and should avoid extensive direct repetition of material in the article itself. Titles of articles and notes should be concise and informative. It is the author’s responsibility to acquire permission for use of copyright-protected material and for the reproduction of all images prior to publication (preferably prior to submission). Permission should be for print, online and in perpetuity. Illustrations should be supplied as separate files (preferably jpeg) with a resolution of at least 300dpi. A list of captions should be supplied in a separate document. Illustrations should be black and white; the journal may include colour illustrations in exceptional circumstances. Authors should not submit manuscripts which are under consideration elsewhere. The editors aim to inform authors of the suitability of their submission within ten weeks, following the (double blind) peer review process. Use a twelve-point font with one-and-a-half line spacing and a minimum of formatting, unjustified on the right. Indent the start of paragraphs (except for the first) with a single tab. Use single quotation marks (and double quotation marks for quotations within quotations). Longer quotations (thirty words or over) should be displayed without quotation marks as indented blocks (one tab indent) with a line space before and after. Quotations within such quotations should be presented with single quotation marks. Punctuation following quotations should come outside of the quotation marks. For parenthetical phrases presented within dashes, use em dashes with a space on both sides of the dash. Dates should appear in the order day-month-year – e.g. 7 February 1752 (with no ‘st’, ‘nd’, ‘rd’, or ‘th’ after the number). Use endnotes (sparingly) using the note function in Microsoft Word. References in endnotes should be presented in MHRA style. For Oxford University Press use OUP; for Cambridge University Press use CUP. When London is the place of publication, it should not be given; other places of publication should be given in full. 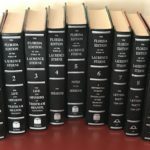 For Sterne citations, the Florida edition should be used (unless reference to another edition is pertinent to the discussion – for example, if editorial variants are under scrutiny). TS for The Life and Opinions of Tristram Shandy, Gentleman. The Florida Edition of the Works of Laurence Sterne. Vols. 1 & 2, The Text, eds. Melvyn New and Joan New. Vol. 3, The Notes, by Melvyn New, Richard A. Davies and W.G. Day (Gainesville: University Presses of Florida, 1978, 1984). References to the text of Tristram Shandy are to original volume and chapter, followed by page number in the Florida Edition; thus ‘TS, 2.2.98’ means: volume 2, chapter 2, Florida Edition p. 98. Sermons for The Sermons of Laurence Sterne. The Florida Edition of the Works of Laurence Sterne. Vol. 4, The Sermons, The Text, ed. Melvyn New. Vol. 5, The Notes to the Sermons, ed. Melvyn New (Gainesville: University Press of Florida, 1996). Include the sermon number plus page number(s) – e.g. ‘Sermons, 8.79’. ASJ or BJ for A Sentimental Journey through France and Italy and Continuation of the Bramine’s Journal. The Florida Edition of the Works of Laurence Sterne. Vol. 6. The Text and Notes, eds. Melvyn New and W.G. Day (Gainesville: University Press of Florida, 2002). Letters for The Letters, Part 1: 1739-1764; Part 2: 1765-1768. The Florida Edition of the Works of Laurence Sterne. Vols. 7 and 8. Eds. Melvyn New and Peter de Voogd (Gainesville: University Press of Florida, 2009). MW for Miscellaneous Writings. The Florida Edition of the Works of Laurence Sterne. Vol. 9. Eds. Melvyn New and W. B. Gerard (Gainesville: University Press of Florida, 2014). EMY for Arthur H. Cash, Laurence Sterne: The Early and Middle Years (London: Methuen, 1975). 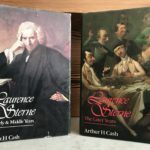 LY for Arthur H. Cash, Laurence Sterne: The Later Years (London: Methuen, 1986).